There seems to have been a further registration of a house for Methodist worship in 1808, but following the building of the Baptist chapel in 1809, there seem to have been no further applications, and the only reference to Methodists in Swanbourne for nearly twenty years that there was a Anabaptist meeting with 70 Anabaptists and also about 70 Methodists in the village. 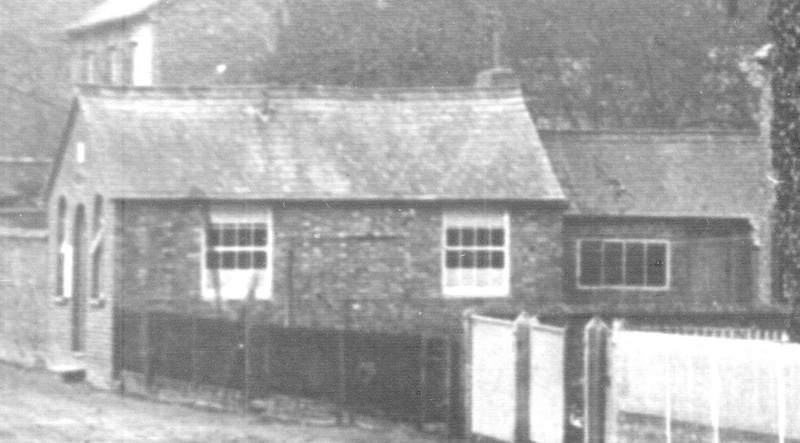 So it is possible that Methodism continued in the village through sharing use of the Baptist chapel. Then on 23 December 1837, the house of Stephen Friday was registered for worship, and this would seem to be the beginning of a new wave of Methodism in the village, under the banner of Primitive Methodism. This movement, which claimed to return to Christianity’s primitive roots, was very strong amongst agricultural workers, starting in Staffordshire, and reached Aylesbury Vale via preachers from the small village of Shefford near Reading. 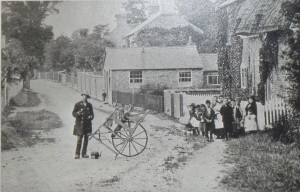 In 1838, a Primitive Methodist chapel was built in Aylesbury, and the following year, an Aylesbury circuit (or grouping) of churches or congregations was formed, of which Swanbourne seems to have been a part, though no records survive from this period, and the earliest definite mention of Swanbourne comes in 1858, when there were 8 members with 3 more ‘on trial’. Nearton scene includes the first Methodist Chapel; on the same site it was smaller with sash windows. Tinkers stand in front. It was in this same year of 1858 that a local builder, Thomas Bowler, built a chapel and cottage in Nearton End. There is no evidence that he himself was a Methodist, but he would seem to have rented it out for use by the Methodists, as this is how it is described in the 1861 census. This changed in 1870, when the Swanbourne Methodists decided to purchase the chapel for themselves. They needed to raise £120 for its purchase – a large sum for workers whose annual wage was around £30 per year. But with the help of loans amounting to £109, the purchase was complete on 16th January 1871. This would have been the first time for most of the families that they had ever owned a property of their own, and was a huge act of faith. But it must have been a boost to their confidence, as just 2 years later, the chapel and its members were the focus of the short-lived Swanbourne Agricultural Workers strike. Whilst the failure of the strike movement must have been a blow to them, the life of the chapel was maintained, and eventually, in 1899, the loans that had been made for its purchase were finally repaid. In 1905, the chapel members decided that they would like to replace their small chapel and cottage with the chapel that is still in use today. As well as raising funds themselves, further loans were acquired, and in 1907, the new chapel was opened. During its building, worship and other chapel activities continued in the home of Charlotte Gurnett, who lived in a house close to the chapel in Nearton End. It took another 20 years for the debts on the chapel to be repaid, but finally in 1926, the last payment was made, and the chapel has been free of debt since that time. 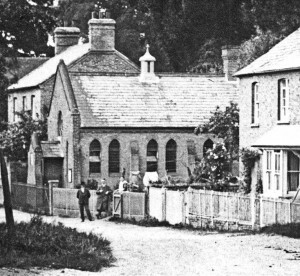 In its earlier years, Sunday services were held regularly at 2.30 and 6 p.m. The morning was kept free for other tasks. The chapel continues to flourish, and has a regular Sunday School in the mornings between 10.30 a.m. and noon, and evening worship at 5 p.m. A fuller history of the chapel was written in 2008 to coincide with 150th anniversary of the foundation of the original chapel, and is available as a booklet. A slightly revised version is being produced as a pdf which will be available from this website shortly.